When it comes to the different types of hydraulic oil, AW is one of the most commonly-used. 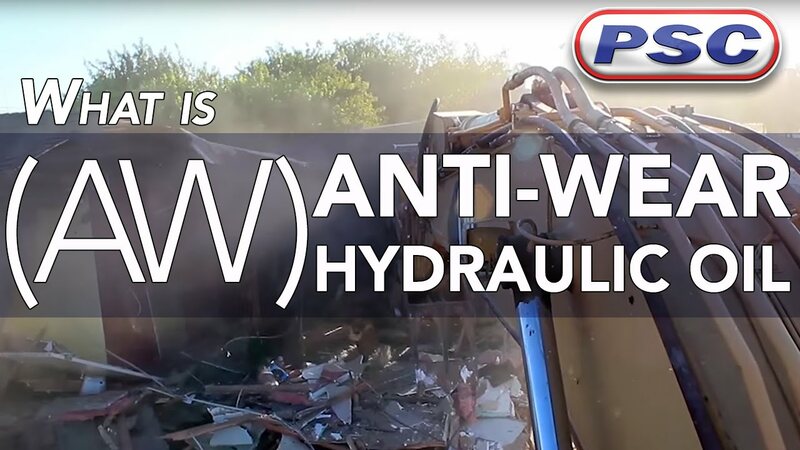 But what, exactly, does the "AW" in AW hydraulic oil stand for? Quite simply, AW stands for"anti-wear" and the ISO classification for AW oils is —HM. " These oils provide protection to hydraulic machinery to ensure that they work properly and last. AW Hydraulic oils are available in multiple viscosities and additivities per your specific application, but are made of two basic components. AW Oils are made of a petroleum base fluid and an anti-wear additive. This additive works to protect the hydraulic pump. One hydraulic oil will perform differently from another, as they are made for specific application requirements. For example, AW 46 hydraulic oil is used to operate the hydraulic systems in off road equipment such as dump trucks, excavators, and backhoes, while AW 32 hydraulic oil colder weather application, like in a snow plow's pump. On the other hand, AW 68 hydraulic oil can be used in different industrial equipment where temperatures are typically hotter, such as with a cardboard compactor or hydraulic press. Base oil quality and additive quantity make for different AW oil performances, affecting the price point of lubricants. Be sure to read individual product data sheets to determine the performance and quality of a given lubricant. Learn about the different properties you should look for in our AW Oil video below! A majority of AW oils are made with a unique anti-wear additive called zinc dialkyldithiophosphate. Often called —ZDDP, or just zinc, it works to protect the hydraulic pump. Always be sure to choose AW oils carefully when using them in critical equipment— using the wrong oil can lead to less than ideal situations and expensive fixes. If you're not sure which lubricant to buy, you can always contact one of our industry experts! Contact us at our toll-free number, 1-855-899-7467, chat with us online, or email us at buy@petroleumservicecompany.com. As always, it's important to remember to always check your system's manufacturer specifications and approvals before using any lubricant. Shop AW Hydraulic Oils at PetroleumServiceCompany.com today!